Sell your unwanted or scrap gold and get cash today. Prestige Pawnbrokers Surrey will buy your gold in Dorking. Sell your gold and silver jewellery or other items of precious metals. Top prices paid for selling gold in Dorking. As a trusted, well established business and gold buyer in Dorking, we offer up to three times more cash than other gold buyers and pawnbrokers. We are based in Weybridge so getting a cash for gold in Dorking is very convenient. Simply come and visit our local retail outlet in Weybridge where our experts will weigh and test your gold. It really is one of the easiest ways within the current economic conditions to raise funds, promptly and efficiently and remember we pay up to three times more than other gold buyers. Can I get cash for my gold in Dorking? We are locally based in Weybridge so you can come and visit us and get cash for your gold same day. If you would like to call us before and discuss what you would like to sell you can call us on 01932 859880. I want to sell my gold in Dorking what do you buy? Cash4gold are based in Sheffield operating from secure processing sites since July 2009. It works by you posting your gold to them which they insure up to £500, after which they recommend you take out extra insurance. When you need cash for gold with us you don’t need to worry about postage or insurance as you can come and bring your gold to us in person and get cash there and then. 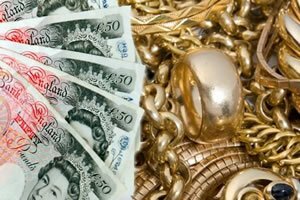 As a trusted, long established local high street pawnbrokers, we offer up to three times more cash for gold in Dorking. Cash for Gold in Dorking. Our highly experienced team of valuers are expert in the appraisal of all types of gold and jewellery. We have a vast knowledge in the current market values we will instantly pay you in cash or pay you via other pre-arranged method. Alternatively come and see us in Weybridge our office hours are listed on the right, with late opening on Thursday and now open Saturdays.